The science of converting energy from sunlight into electricity using photovoltaic (PV) cells, solar power, is focused on placing panels on land and buildings, to attract and harness the sun’s light to create the energy we need to power our homes and businesses. While solar power presents a great opportunity to generate clean, sustainable energy, innovators around the world have spent the last decade uncovering opportunities to make solar power more efficient in its energy generation. Given the increase in population growth and demand for high density living, new forms of solar power need to be viable without occupying valuable land, offer a carbon neutral footprint and promote environmental benefits greater than land-based solar power. Floating solar power, using PV cells on a body of water, such as a dam or basin, ticks these boxes. 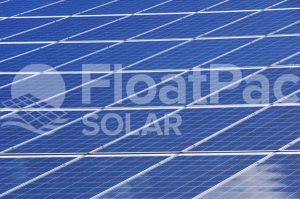 Building on their lengthy experience and knowledge in designing, creating and delivering environmentally beneficial products, Australian business, FloatPac, is the first in the country to add floating solar power to its suite of offerings. Acclaimed as the world’s only fully approved air freight oxygen seafood transport system with FishPac and products ranging from under house rain water storage systems, the world’s strongest flexible tanks, fish farming liners and solar power to homes around the globe, FloatPac’s commitment to a cleaner environment is critical in product and service design. 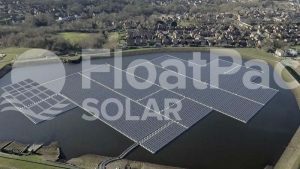 Continuing their focus on a sustainable, environmentally friendly product offering, FloatPac’s move into floating solar power has been a natural next step. Their Australian designed floatovoltaic system focuses on decreasing the impact on the environment by containing algae bloom, enhancing water security, reducing carbon emissions, using 100% recyclable cells and increasing energy generation efficiency. Studies have shown the covering of a body of water by floating cells – and subsequent shadowing – has significant environmental benefits. Algal (also known as algae) blooms – or the sudden and dramatic increase in the plant – may occur naturally from changes in temperature, light, rainfall or an excess of nutrients, such as nitrogen and phosphorus in the water. The algal can be toxic not just to humans but also fish, marine mammals and marine birds. This problem, common to industrialised areas, is recognised by the discolouration of the water and accompanying stench. The decrease of sunlight on the algal means less reproduction of the plant, commonly found just below the surface and therefore greater opportunity to maintain a healthy body of water. Add to this a cooling effect the floating solar power cells have on the waters temperature, and the subsequent decrease in evaporation. Water molecules are always in motion, creating waves or water movement, and as they collide with air molecules, they gain energy. Evaporation occurs when the water surface gains enough energy from the collision to escape from the water and into the air. The decrease in water loss and movement also leads to a healthier embankment – a win for water bodies used for irrigation. These are huge environmental benefits, but even more so for those experiencing the pressures of drought. Along with their constant focus on a positive environment, FloatPac boast reduced carbon emissions, simply due to their manufacturing and shipping processes. The unique design of FloatPac’s floatovoltaic system, offers a saving of approx. 28 – 35 % in packing density in all forms of air, land and sea transport, far superior to other flotation offerings on the market. This not only reduces transportation cost (the decreased price is just another added benefit) but dramatically reduces the carbon footprint of the system. With a continued eye on cost effective, sustainable products that offer a further point of difference, the FloatPac cell system is 100% recyclable. Each cell is also UV stabilised, rot and mould resistant ensuring they last up to 25 years in bodies of fresh water. As we continue to see a focus on powering the future through clean energy using technological innovations that are sustainable and environmentally friendly, we also continue to see FloatPac leading the way in Australia. 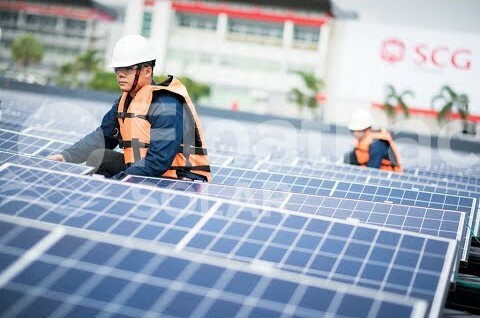 Their first class, sustainable suite of product offerings ranging from the world’s strongest flexible tanks, to powering the globe through floating solar power, FloatPac’s commitment to sustainability in all aspects of their work, adds great benefit to more than just the environment – but to the future as well. FloatPac Solar’s Australian designed floatovoltaic system focuses on decreasing the impact on the environment by containing algae bloom, enhancing water security, reducing carbon emissions, all while using 100% recyclable cells and increasing energy generation efficiency.